Japanese style kokedamas are the latest trend in indoor gardening. You can hang them, pot them, or use them to decorate an area of your veranda. Kokedama is an ancient type of Japanese garden art and a form of bonsai. 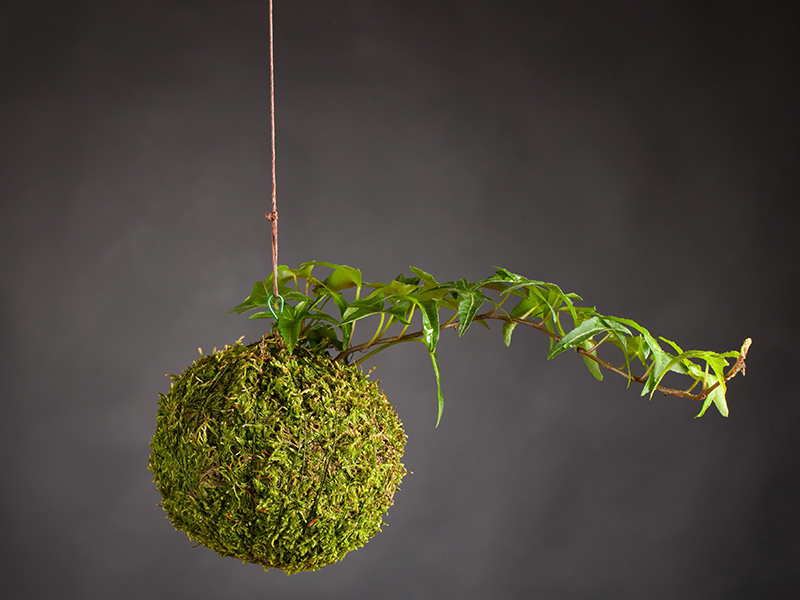 The Japanese word ‘kokedama’ literally translates to ‘moss ball’ – and that’s exactly what they are, really. They’re plants that are held together by a ball of soil, moss and string. So, what do you need to make them? Remove your plant from its pot and dust off any additional soil. Add a handful of vermiculite and a pinch of water-retention granules to your potting soil. Spray with water and moisten the mixture so it’s easier to mould. Place your plant with potting soil mixture into the middle of a piece of newspaper. Then slowly wrap the newspaper around the soil and root of your plant, pressing and rounding it until it forms a ball with just the leaves sticking out. Hold in place with twine. Once you’re done you’ll need to place moss over the newspaper ball. Hold it in place with twine and go slow as this part is a bit hands-on. Make sure you’ve covered the ball with a thick layer of moss. Knot the twine when you’ve completed step three and use the side cutters to cut a piece of metal cabling. Next, use pliers, crimp your metal lug and hook to the end. Hook the one end onto your kokedama and hang.